Two hot selling backpacks from ThinkTankPhoto that are frequently out of stock are the Airport Commuter and StreetWalker® HardDrive. The reason why is simple – they are two great backpacks that not only hold your camera gear, but they can hold your laptop too! In this article I give you a quick introduction to each bag and then I do a simple written and video comparison to help you decide which bag is right for you. The Airport Commuter isn’t exactly the sexiest bag to look at, but it’s functional in a big way. With its deep storage it can easily story pro camera bodies or cameras with grips. It’s only designed for one camera with a lens attached, but multiple bodies can be stored elsewhere it its internal compartments. The key to this bag is its support for up to a 17” MacBook Pro (despite the advertisement of “up to 15.4”), plus safe separate storage for an iPad. The grab handles were greatly appreciated and this bag is totally functional – but in a brown suit kind of way. In short, it lacks style but it makes up for it in function. The Airport Commuter was able to easily hold my 17” MacBook Pro as well as my New iPad, but it’s carried in the top flap pocket which made it more challenging opening and closing the main compartment. The weight just didn’t feel right up front like that, and if opened improperly (i.e., while standing up), then it could easily cause the laptop to be slammed onto the ground. This design was preferable to the StreetWalker HardDrive though for getting the laptop out of the bag on an airplane, so it’s got pros and cons for sure. 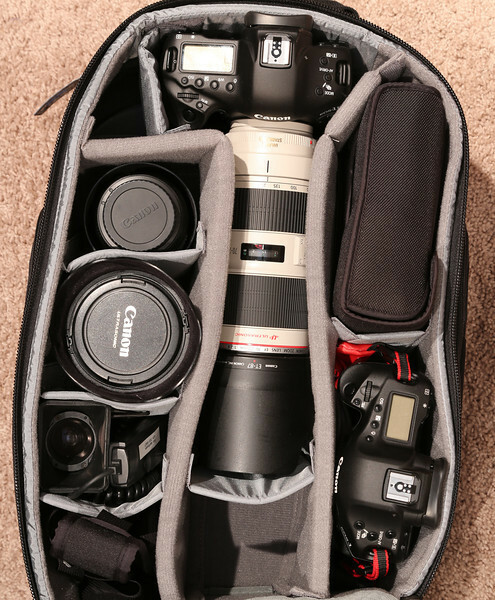 As a camera bag, this bag is pretty hard to beat! I love my StreetWalker Pro, so it’s no wonder that I liked this bag right off the bat. It took a little adjusting getting used to the larger bag, but it was easy once I saw much stuff I could comfortably fit inside. This bag is designed for one camera body with a lens attached and it does that job well. I was easily able to fit all of my necessary gear for an average trip, and I loved having the zip pockets on the outside to get to the things I needed to in a hurry on the plane. With the default configuration I was easily able to store my Canon 1D X camera body with a 70-200mm attached, and the external tripod storage is really great for travel photography adventures. I preferred the additional zip pockets and integrated tripod holder in this bag over the Airport Commuter. This is the bag that I’ll take traveling on trips where my gear load is light enough to fit in this bag. The StreetWalker HardDrive was able to hold my 17” MacBook Pro with the storage compartment flap upright, so this means that you’d not be able to carry a pro body or camera with a battery grip if you had a 17” laptop. The recommended 15.4” size laptop includes the flap down, so this is really for 15” MacBook Pro’s or smaller. I wasn’t able comfortably fit my New iPad, but it’s could be squeezed in in a pinch. The challenge to the side rear loading design means it’s not easy to get your laptop out on an airplane. It’s also up against your back when walking which some might find bothersome (but it didn’t bother me much). 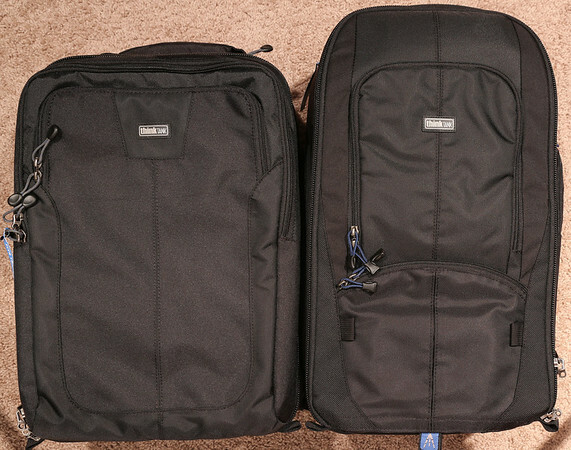 For my comparison I loaded both bags in an identical way with the same identical gear. The main camera was a Canon 1D X with the 70-200mm f/2.8L IS II USM lens. Also included was a 100mm macro, a 16-35mm II lens, two 600EX-RT flashes, a BlackRapid RS-7, a Hoodman Loupe, a 1D Mark IV, and some accessories cables. These are both great bags, but hands down my favorite is the StreetWalker® HardDrive. While its laptop storage isn’t as nice as that found on the Airport Commuter, the thing that matters the most to me is how it stores my camera gear. For the latter, the StreetWalker® series is one of ThinkTankPhoto’s best solutions for hauling gear and accessories, but the addition of being able to hold a laptop is really icing on the cake. Neither of these bags are small enough to easily slide under the seat in front of you on the airplane (but it might fit in some), but both are easily stored overhead on airplanes. They are also large enough to hold a lot of gear without being obnoxiously large which makes them excellent travel companions. For carrying laptops, I’d say if you have something the size of a 17” MacBook Pro then the best choice is the Airport Commuter. If your laptop is smaller, then I’d probably favor the StreetWalker HardDrive as it’s the better camera bag overall. As backpacks, both are functionally the same so I didn’t find that I preferred one over the other in real-world use. They were both comfortable and handled the weight load very well. When loaded with gear, both bags did well and zipped up easily. However, the Airport Commuter was the one that swallowed gear the easiest. The height advantage of the StreetWalker HardDrive made it easier to carry more gear, but it’s width is a bit cramped on the right side below so I didn’t feel super comfortable travelling with my gear as shown below. Since I wasn’t able to stand the flash up on end, the only choice was down. In addition, with the laptop storage in the back of the bag, the depth of the pockets for this bag was much less than the Airport Commuter. While it could easily be zipped, the configuration below left me uneasy. of the 1D Mark IV (bottom right). If I had to pick one it would be the StreetWalker HardDrive for me. Camera gear storage and lots of external pockets are my primary concern when travelling. The StreetWalker HardDrive meets those needs, so it easily gets a high recommendation. Of course, if you have a 17” MacBook Pro sized laptop that needs to travel with you then the Airport Commuter becomes the bag of choice. It’s also very iPad friendly and offers a greater width that comes in handy when carrying extra camera bodies. In the end, both are great bags and you can’t go wrong with either. 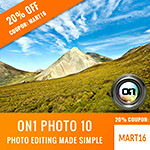 Thanks for supporting this blog by making your purchase directly from Think Tank Photo! 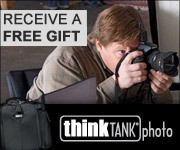 Click here to learn more about my Think Tank Photo bag special offer and see my complete list of my bag reviews. 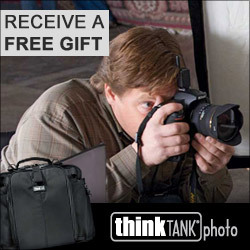 I'm a big fan of Think TANK bags, I own 3-4 myself. Like you I own a StreetWalker HD, I also have a Shape Shifter in my fleet. For me, my biggest bark about the AirPort line is the need to front load notebooks and/or notebook and iPad, tablet, etc. 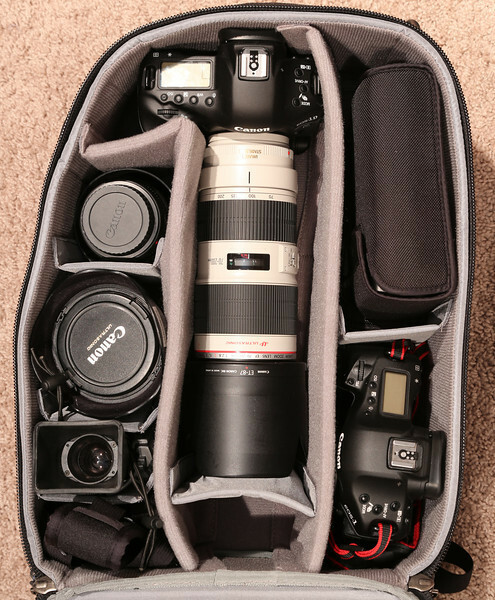 With a camera sitting internal top loaded and notebooks and/or notebook and iPad, tablets set front loaded the bag becomes very front heavy and weighted pulling away from the body. I largely sold my AirPort Antidote 2.0 w/ its Artificial Intelligence for that very reason. Not only do the StreetWalker HD and Shape Shift keep you notebook safer being loaded in the back, distribution of weight is far superior to those that place the notebooks front facing. 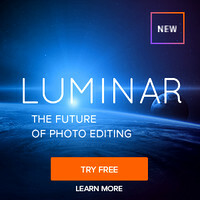 Thanks Photorialist! I agree, and called that point out in my article as well. I'm not fond of that design either. I'm just curious a bit, is it possible to take the tripod in to the compartment of Think Tank Airport and Street Walker? I have small Benro tripod that length about 40 cm or 15.2" if folded. Yes, both support tripods. I carry my Gitzo GT1541 tripod in both. Thank you for this great review, Ron. Since I am trying to make up my mind between these two backpacks I have a question that you might able to answer. So far it hasn't been a problem for my very plastic-like Sony VAIO so I'm assuming it won't be a problem for most laptops. You bring up a valid point though so you should certainly take care that your laptop is built to handle this type of use. I suppose you could put a hard protective flat object between both sides of your laptop (i.e., a clipboard, plexiglass, or something) to help protect it a bit more. Thanks alot, Ron. For some reason I feel more comfortable with having the laptop not between my back and 10kg camera gear. Since I don't carry the laptop all the time I will probably go with the Airport Commuter. Thank again for this very helpfull review. I carry a 7D NOT GRIPPED and have been interested in the Commuter because of the depth, which would allow me to store lenses < 6.8" in the upright position, which could certainly save some space in the bag for more gear. Can you provide any input with regards to carrying a non-gripped/pro size SLR in the Commuter? My concern would be that the body would just flop around in there with that much depth. Thoughts? In the image in the article I have a 5D Mark III with no grip or lens and you can see that I have it very snug in the bag. If you just adjust the configuration of the bag (and there's extra dividers) you can secure a 7D quite easily so it won't move around. Whoops, correction - I forgot I used both of my 1D bodies for that article. Even still, the same rule applies - just use dividers and you'll be totally fine. I had my old Rebel in the MUCH deeper Airport Acceleration and it was locked so tight with the nice dividers that I could open the bag and tip it without anything spilling out. That's no longer the case with the thin dividers, but this has some big ones that will allow you to lock it in. Hey Ron - fantastic review, I'm really torn between the two, I just picked up a Gitzo GT1544T which I believe is a similar length to your GT1541 , was wondering if you could link me to a photo of the hard drive and/or the commuter with your gitzo inside the bag with gear?? Really curious to see how gear fits around it!! Because my tripod is a lot smaller than the one shown in the photo it doesn't take up much space. I know I have a photo somewhere, but I can't find it right at the moment.